Girdwood is a small town tucked off the side of the Seward Highway south of Anchorage. We love going down there to eat at the restaurants, ski, and ride the Bird to Gird. 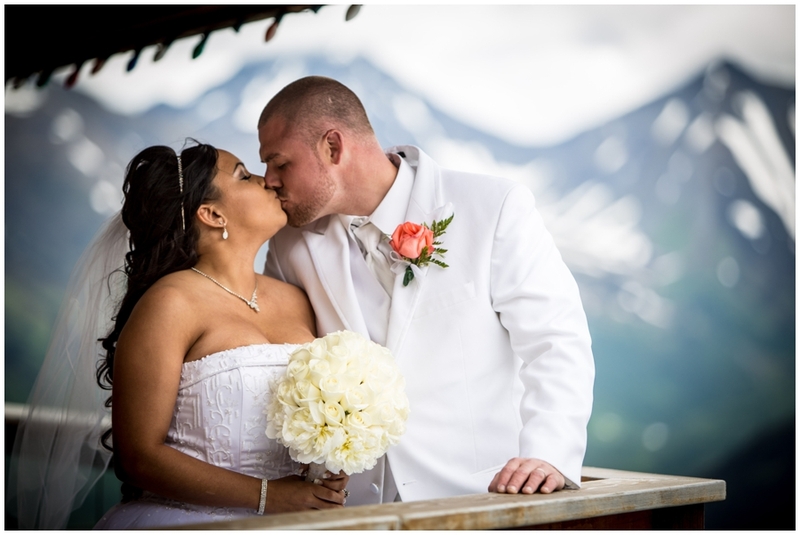 We were very excited to be able to shoot our first wedding at the beautiful Alyeska Resort. The wedding was outdoors beneath a cooperative but moody Alaska sky. The reception was held in the well lit Kahiltna Court, overlooking the pond. The resort provides many beautiful opportunities for photographs, albeit, perhaps a bit difficult to navigate in stilettos and a wedding dress. Taija was an awesome sport for wandering out at the top of the mountain in her heels with metal grates covering most of the walkway. We headed back to the party where the little kids were eager to show off their dance moves and we had a great fight for the garter and bouquet.